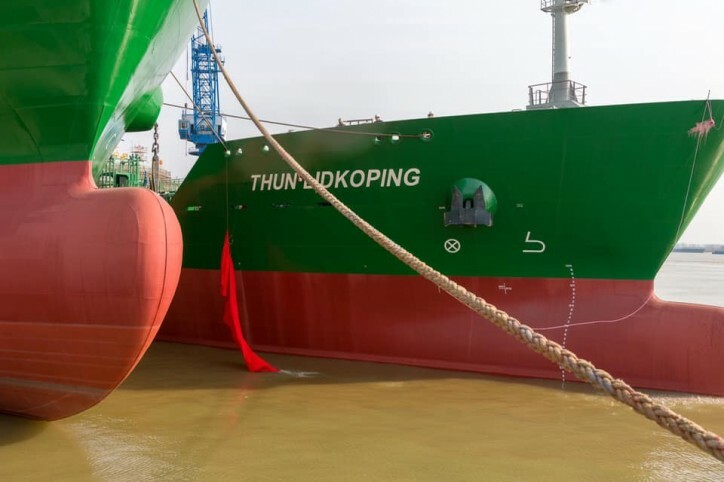 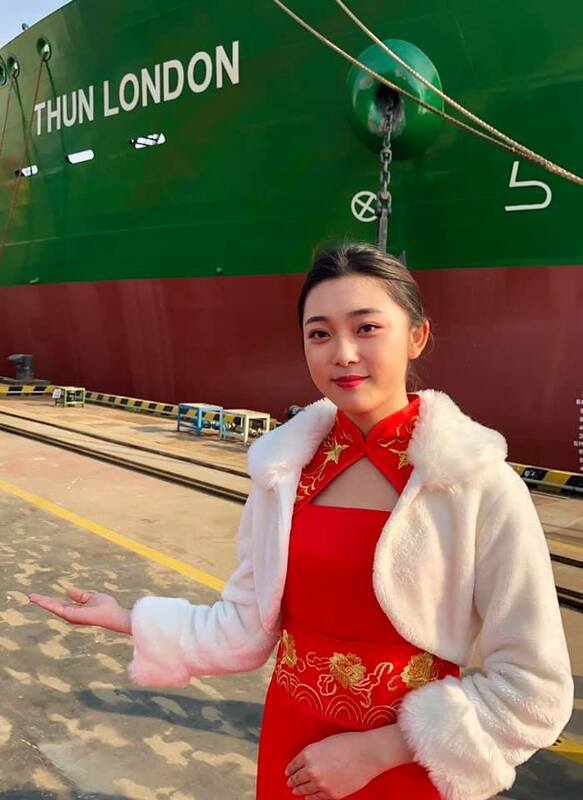 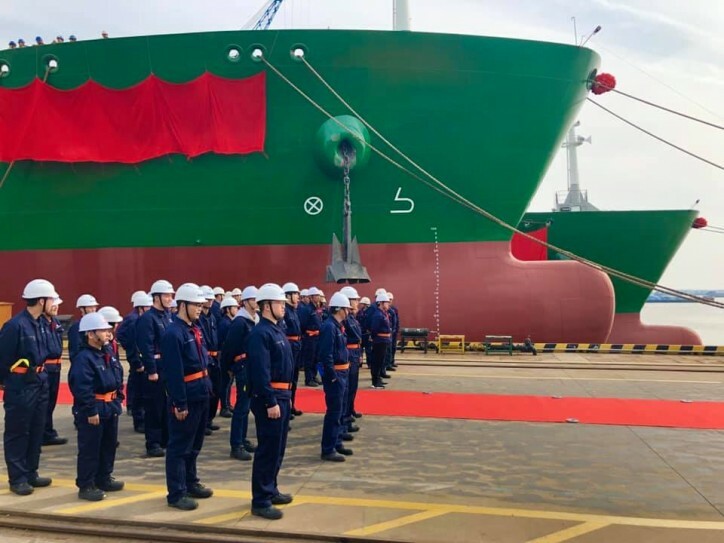 In the presence of the family, colleagues and business partners Erik Thun, part of the Gothia Tanker Alliance, named two 18650 dead weight product tankers in the L-Class series at Avic Dingheng Shipyard on Saturday the 23rd of March. 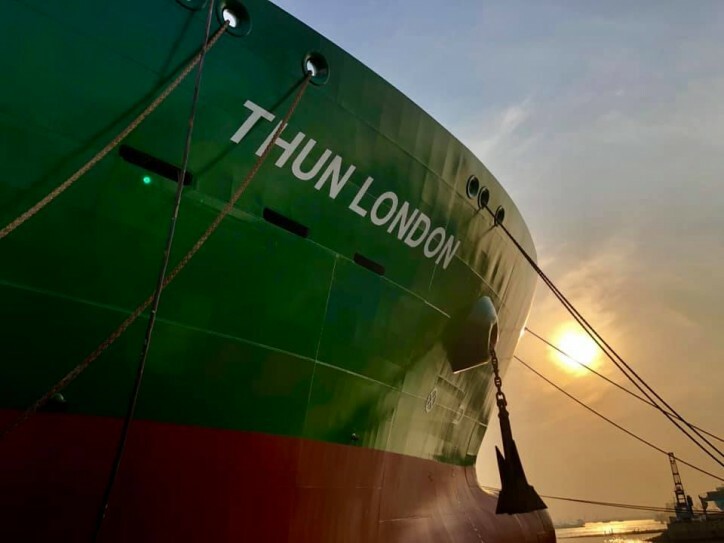 The vessels that got the names Thun Lidkoping and Thun London are two out of five highly sustainable quality sister vessels, in the same series, on order. 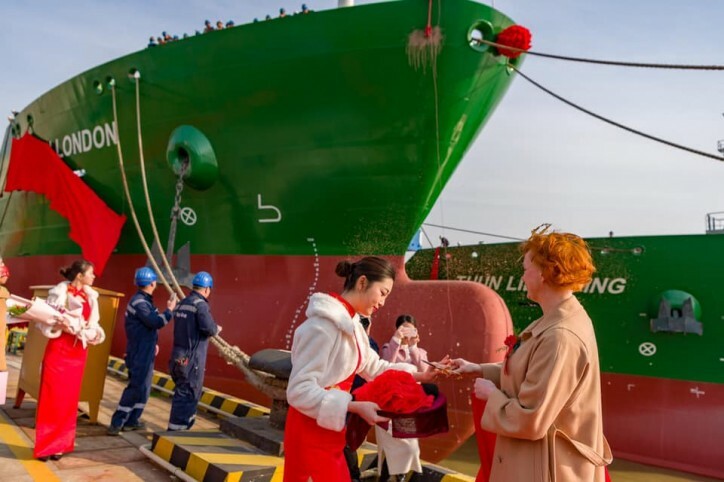 Upon delivery, the vessels will enter the Gothia Tanker Alliance network. 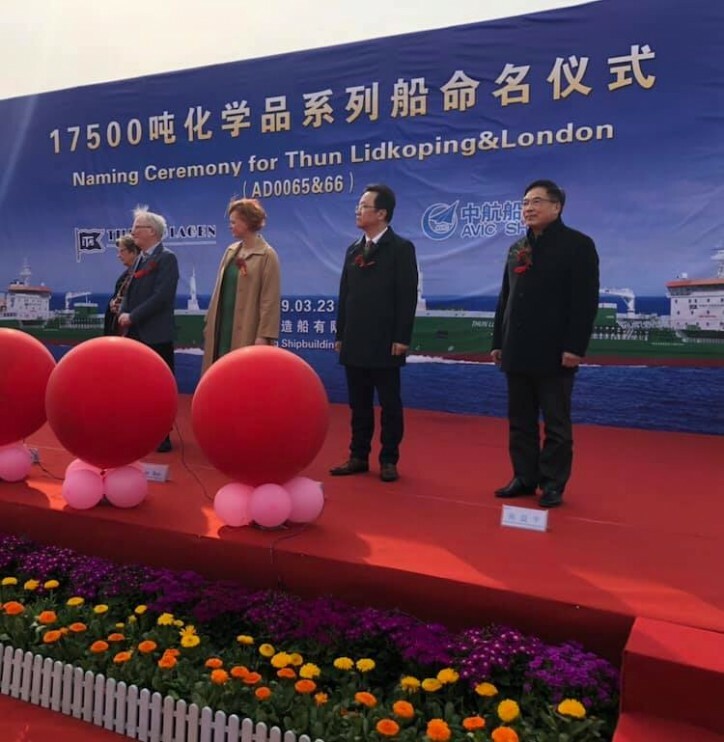 “It’s a historic day for our company with the naming of both the Thun Lidkoping and Thun London on the same day” says godmother Alice Brax.